Modern Necklace with black 6 mm. pearls linked together by Sterling Silver tubes. The length is adjustable from 45 to 53 cm. 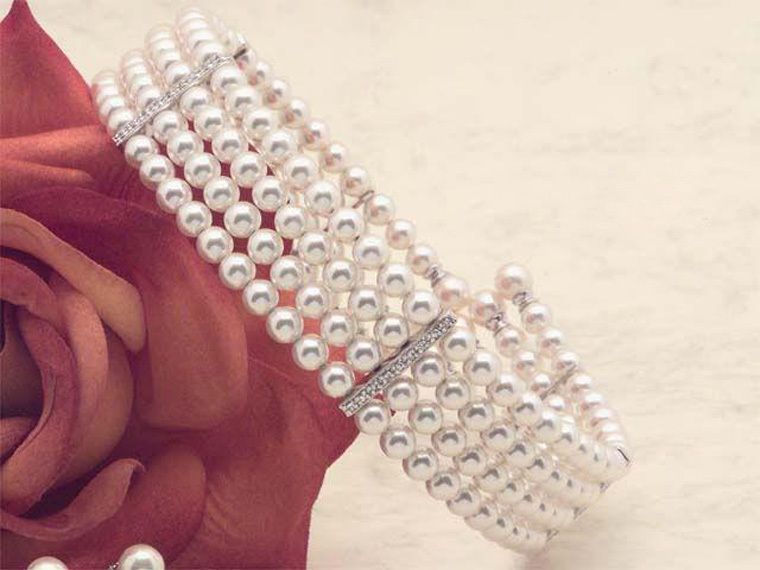 Get a sensual and sweet look with this lovely Bracelet with 8 mm white Pearls and Crystals linked together by a Sterling Silver chain. The length of the Bracelet is 20 cm. Add Elegance to an unforgettable moment with this spectacular Necklace in 6 mm Pearls, Zirconia and Sterling Silver, adaptable to fit all sizes. 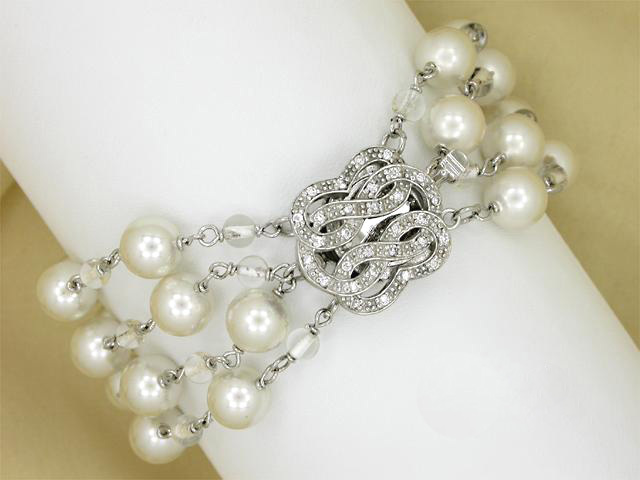 This wonderful Bracelet with 6 mm White Pearls and decorative elements in Sterling Silver is adjustable to fit all sizes of wrists! 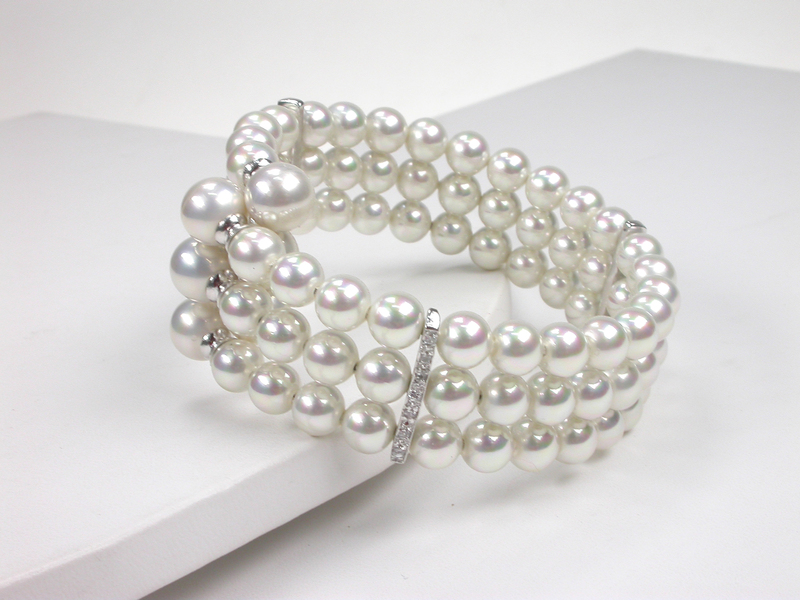 This Brilliant 3 rows Bracelet with white 7 mm. 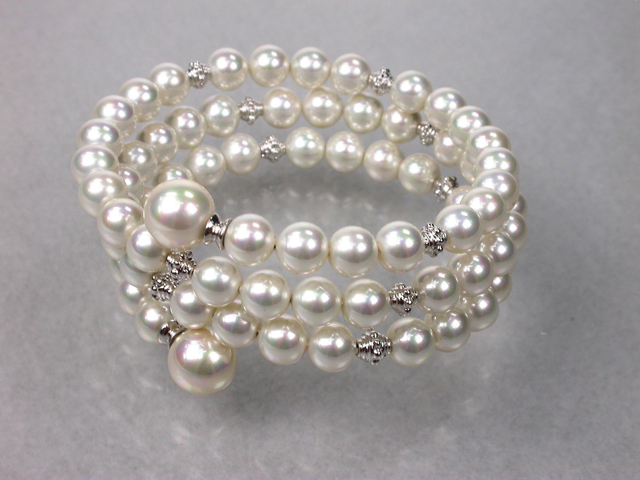 Pearls and decorative elements in Sterling Silver is adaptable to fit all sizes! 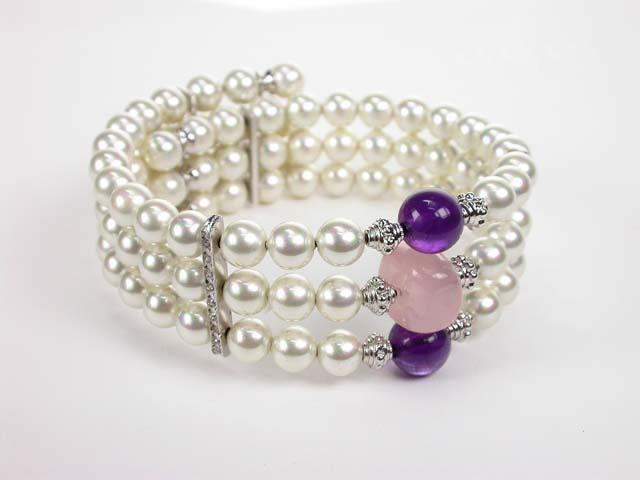 Rigid Bracelet adaptable to fit all sizes of wrists with White Pearls combined with Rose Quartz and Amethyst. A delicate combination to add a touch of color to a sophisticated style. 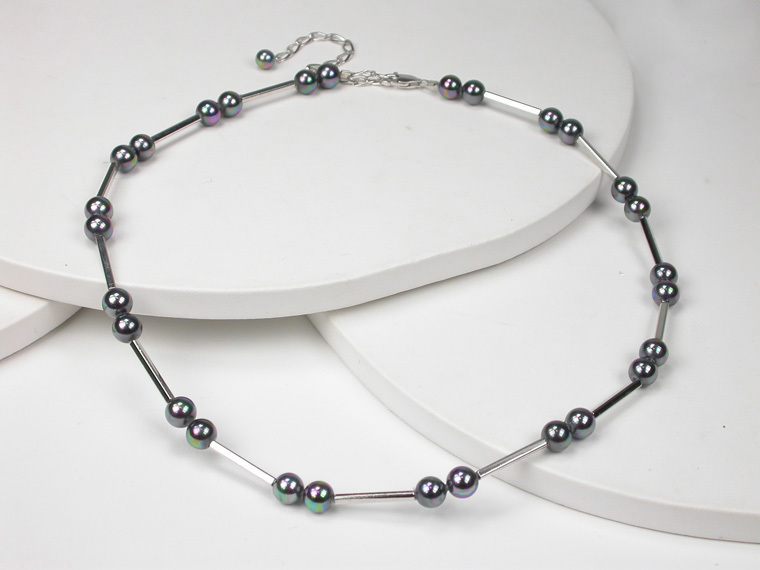 Add Elegance and Class to your dress with this spectacular Necklace in Pearls from 5 to 14 mm. The length of the shortest row is 50 cm. Free shipping for all your orders to Europe above 100€ and above 200€ in the rest of the world. How come you haven't given us a Like ? We must be doing something wrong if you still aren't one of our Facebook fans. We promise to improve everyday !